Who doesn't like freebies? And especially the ones that do what they claim to do and increase your productivity so you can accomplish more in less time! If you do, then read on, as here is one such web-based free tool or, rather, four tools. As bloggers, students, educators, employees and entrepreneurs, we all create and process documents of all sorts. Sometimes it’s an article or essay; at other times a budget forecast or data analysis, presentation or a lesson plan, and so on. No matter which document processing application or office productivity suite we use for producing and editing our spreadsheets, documents and slideshows, when it comes to sending and sharing them with others, we often choose to save them as PDFs prior to attaching them to emails or uploading to the web. This, of course makes sense, because PDF is a great format for opening and viewing on any operating system or device, and ensuring that whoever opens it sees is just as we intended them to. And nobody can edit the PDF file just like that. But in case you need to modify the PDF content, you need to translate it to an editable file format .doc, .xls, .ppt. The free online PDF Converter brought to you by PDFConverter.com will help you with that. The only limit is the size of files that can be uploaded and converted: 2MB. 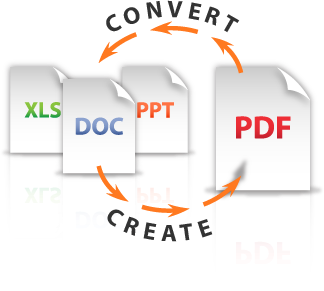 Select the conversion tool according to the desired output type: PDF to DOC, PDF to XLS, PDF to PPT or create PDF. Click the button “Choose File” and select from your computer the file you want translated to or from PDF. Type in (or copy and paste) your email address where you want to receive the converted file. Few moments or minutes later (depending on the size of your file), you will receive the email with a link to your converted file. Click the link or copy it and paste into the browser in case your email settings turn the URLs in plain text. Then just download your converted file and save it wherever you want on your computer (it can be even a Dropbox or Onedrive folder). There is no need to convert files as soon as you get the email, but you need to download them in the course of 24 hours, since after that period they are being deleted from the PDFConverter.com’s servers in order to ensure the maximum privacy protection.